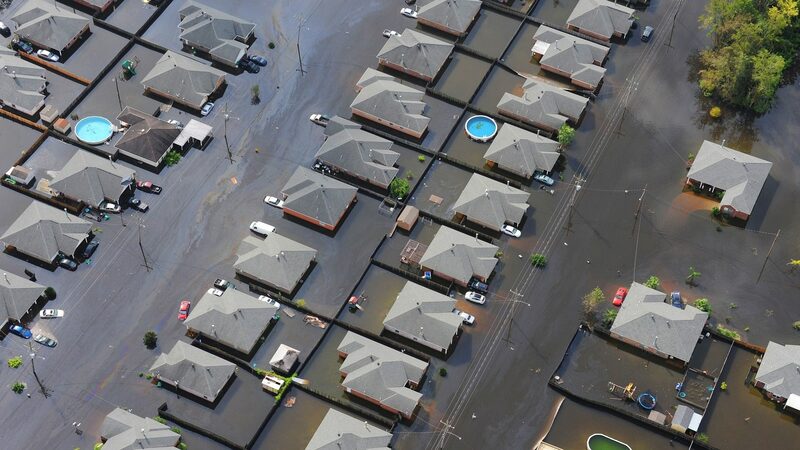 We currently represent a large group of home and business owners who own properties located in over 60 different neighborhoods and complexes in Katy and Houston that were impacted by reservoir waters, both upstream and downstream. Our clients include home owners, business owners, as well as renters. Have you filed a lawsuit? Yes. On October 2 and December 5, 2017, we filed our clients’ cases in the U.S. Court of Federal Claims seeking just compensation under the 5th Amendment to the U.S. Constitution. We are continuing to speak with flood victims and are still accepting cases that we will add to our current filings in the near future. Are you experienced in handling lawsuits like these? Yes. In fact, one of our founding partners, Vuk Vujasinovic, was appointed by the Chief Judge to be part of the leadership counsel leading this litigation. We have the experience and resources to handle very large cases. Three of the lawyers at our firm our Board Certified in Personal Injury Trial Law by the Texas Board of Legal Specialization, including our founders Vuk Vujasinovic and Brian Beckcom. All of these cases will be in trial courts, and we have a track record of success in handling these kinds of cases. Our most recent trial result was a $17 million jury verdict in Harris County last year that resulted in a $20 million judgment. According to the “Texas Lawyer,” this was one of the largest verdicts in Texas in 2016. Importantly, the above case involved complex hydrology issues concerning the navigability of a waterway and a dam operated by the U.S. Army Corps of Engineers. We worked with an expert in these fields, and as a result we are on the forefront of issues that will be involved in our clients' claims concerning the government's design and operation of the Addicks and Barker reservoirs. How do I know whether my property flooded due to the design and operation of the reservoirs, as opposed to general flooding from the storm? We have already officially engaged experts in Hydrology and Meteorology, and we are working with them to analyze whether each of our clients’ specific property flooded due to the government's design and operation of its reservoirs. We will do this for every client we accept. The Supreme Court of the United States has held there is no "magic formula" for determining whether the government's action constitutes a "taking" of your property under the constitution. These claims are analyzed on a case-by-case basis, and we work with our experts in an attempt to establish a takings case for each case we accept, wherever our client's property is located. Do I have a case if I live upstream from the dams? We believe those living in and around the reservoirs, but not necessarily downstream from the dams (many Katy area neighborhoods), have a strong case. These upstream properties are situated in reservoir pools that were specifically designed to be flooded by the government. We have already compiled many materials in our investigations that support this claim. You have the constitutional right to being adequately compensated by the government if the government “takes” your property. You have this legal right under the constitutions of both the United States and Texas. If the government takes action that causes your property to flood, that is commonly considered such a “taking.” You do not have to claim or show the government did anything wrong in order to obtain this compensation. Does it matter whether I had flood insurance? No. You can make an inverse condemnation claim whether you had flood insurance or not. This is a claim against the government to enforce your constitutional property rights, and has nothing to do with insurance. You can make this claim even if you had flood insurance and even if you recover on your flood insurance policy. Can I make this claim if my property had already flooded, but one of the reservoirs caused it to flood more? Yes. You can make this claim if your house or business already had some flooding, but the operation or design of one of the reservoirs caused it to flood even more. This may make your case somewhat more difficult to prove, but that’s where our experience comes in. Can I make this claim if my business property was damaged? Yes. Inverse condemnation claims are not limited to residential losses. Businesses that have suffered losses can make these claims. Can I recover damages over and above my actual losses? Yes. Certain aspects of “inverse condemnation” law allow you to seek recovery of attorney fees as well as appraisal, engineering and other fees and costs. I'm a renter, can I make this claim? Yes. We will seek 100% of your loss to your personal property, including vehicles and contents of the home or apartment you were renting. This is a difficult question to answer, but cases like these could take up to 1 or 2 years, or more, before they are finished. These cases will require a lot of work, and a lot of our time. Can these cases be handled on a contingency fee? Yes. You never pay anything out of pocket. You do not pay anything if we do not recover compensation for you. If we win a recovery for you, we are paid out of your winnings. Under this arrangement, you have nothing to lose in pursuing this claim.